Turns out, an Englishman in New York can be just as dangerous as a horde of magical creatures on the loose. 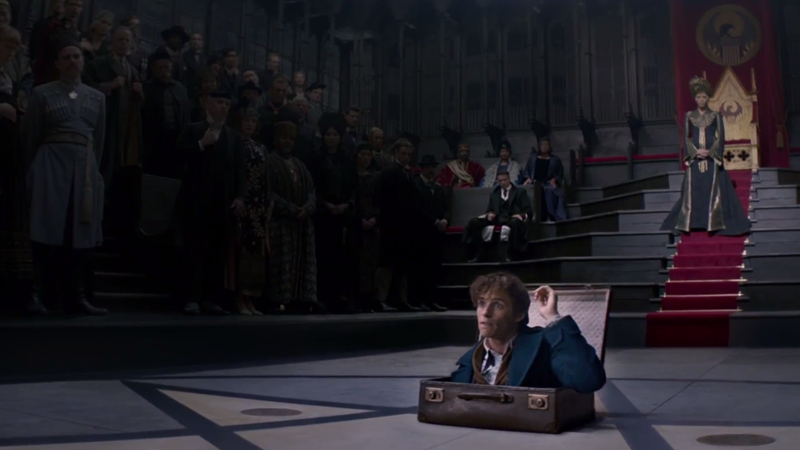 The new trailer for Fantastic Beasts is here, and we finally actually get to see what’s going on in this movie beyond “Eddie Redmayne doing his best Matt Smith impression, oh also there are monsters.” First we get a taste of Newt Scamander’s... eccentricities as an Englishman in a foreign land, but then we get the real meat: the threat of a deadly war breaking out between the Wizards in hiding and the muggles (err, sorry, No-Majes) of New York. There’s still plenty of fantastic beasts, of course, and some incredibly lavish moments of wizardry, but it’s nice to actually see something more substantial about this step into the wider Wizarding World. Fantastic Beasts and Where to Find Them hits theaters in November.